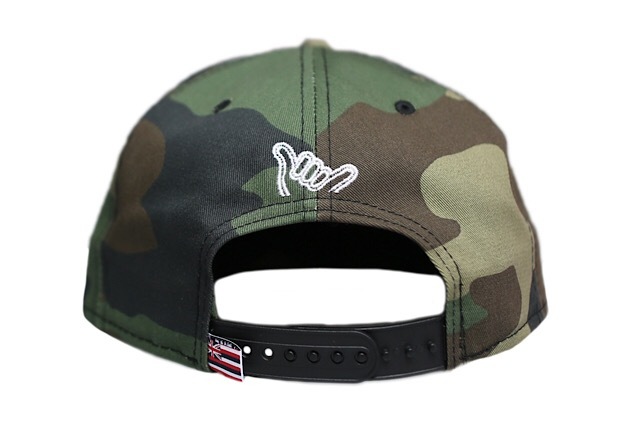 Releasing exclusively in-store and online this Saturday, January 19 at 11am HST. 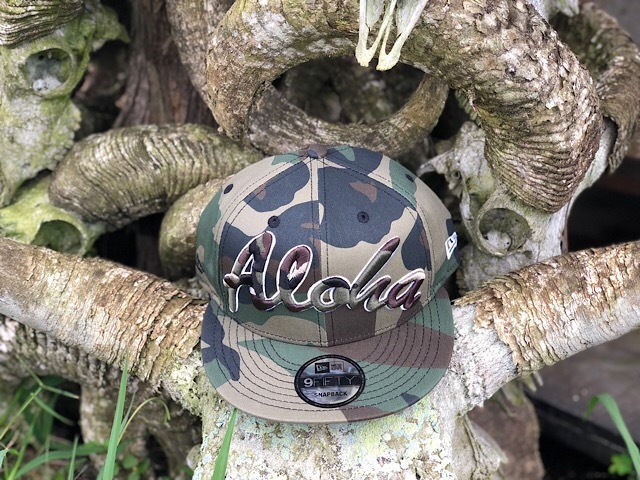 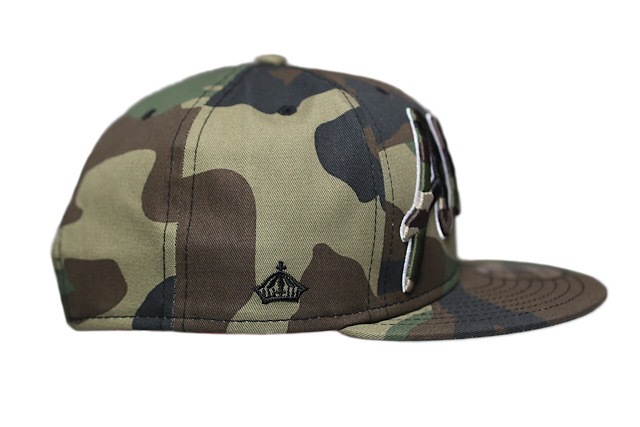 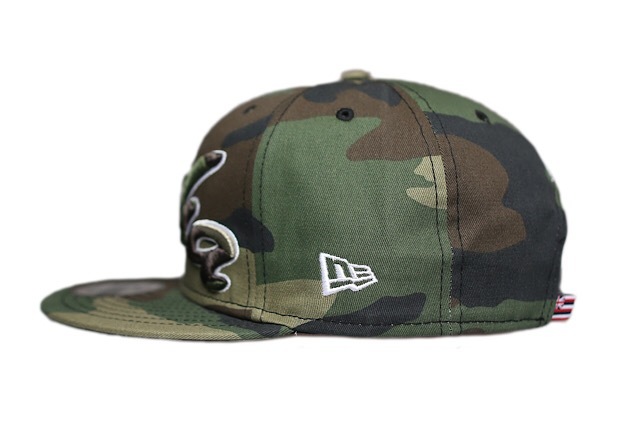 This Saturday, we have a special Aloha snapback releasing, featuring a camo-on-camo aesthetic, which utilizes a woodland camouflage base and unique woodland camouflage stitching on the front Aloha logo. 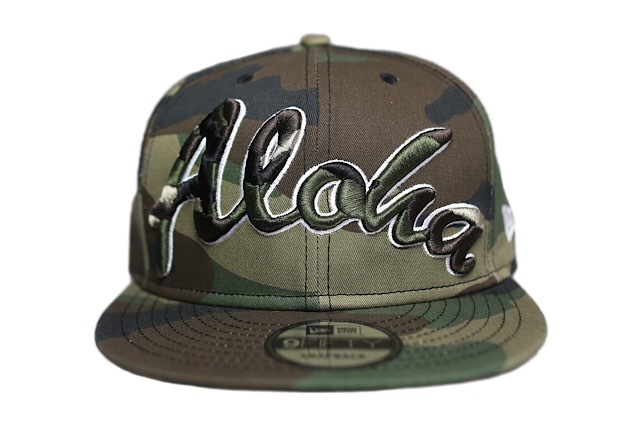 The Aloha is outlined in white, matching the white New Era logo and back Cheehuu logo, while the snap enclosure and side crown are black, and it’s finished off with an ASD flag tag on the back. 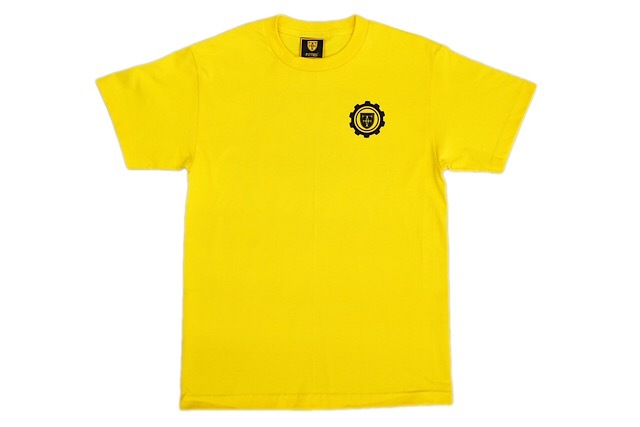 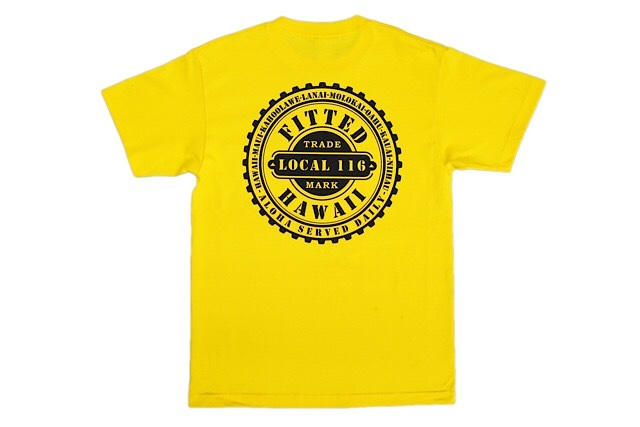 In stark contrast to the camouflage Aloha, we’re pairing it with a bright yellow Local 116 tee with black print.